The birthday boy wanted steak, and asked to try out Grand Hyatt Steakhouse. I've heard the buzz about this place ever since it opened, but as I'm not big on steaks - unlike someone I know - I never found the urge to check the place out. The bunch of us shared some seafood on ice. While I really did enjoy some of the items such as the lobster, I am usually not a big fan of this - at least not the way Tony Bourdain was obsessing over his shellfish tower while in Brittany. The clam I had was very big, but near frozen solid and not very palatable. I took an iberico pork chop instead, and asked for medium. This was very, very good. The exterior was well-charred and imparted a good amount of flavor along with the seasoning. The interior was very tender and juicy. Needless to say the good amount of fat here didn't hurt. I happily chomped down on it. Yes, I was in hog heaven. I didn't really need the mushroom sauce that came on the side. This was about a hundred times better than what I had at the Hong Kong Golf Club or Sabatini. I also nibbled on some of the sides we ordered: the aged white cheddar macaroni was very good, although my personal preference would have called for the sauce to be a little more gooey and viscous; the sweet potato fries were decent; and the beer battered onion rings were gigantic. The rest of the gang seemed pretty full, so I didn't push to have dessert. Oh well, there's always next time. 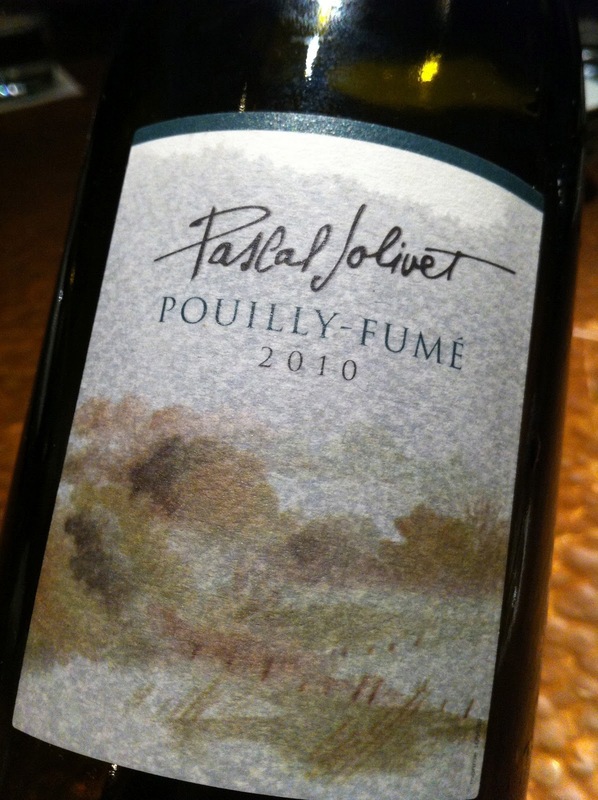 2010 Pascal Jolivet Pouilly-Fumé - green apple, flint, white flower, muscat. 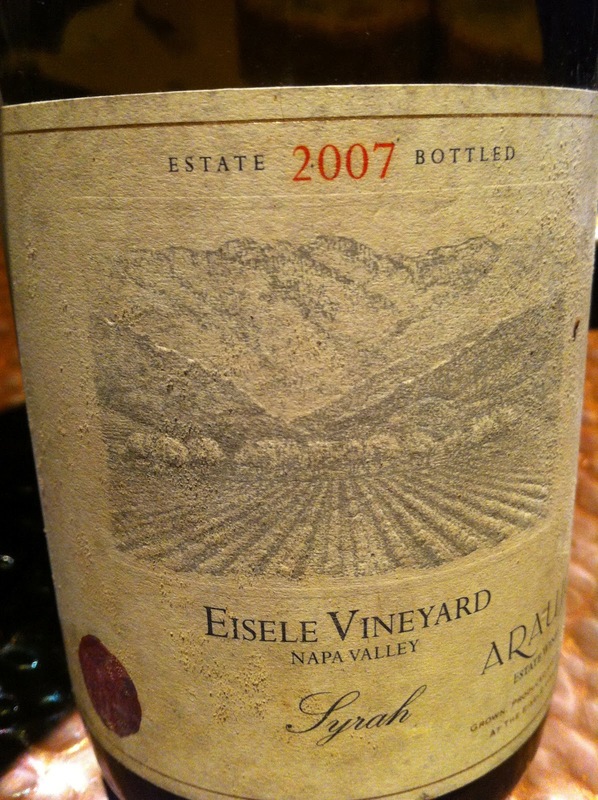 Acidity mid-palate and finish was quite high. Together with the lobster, the minerality really came out… perhaps not the best pairing. 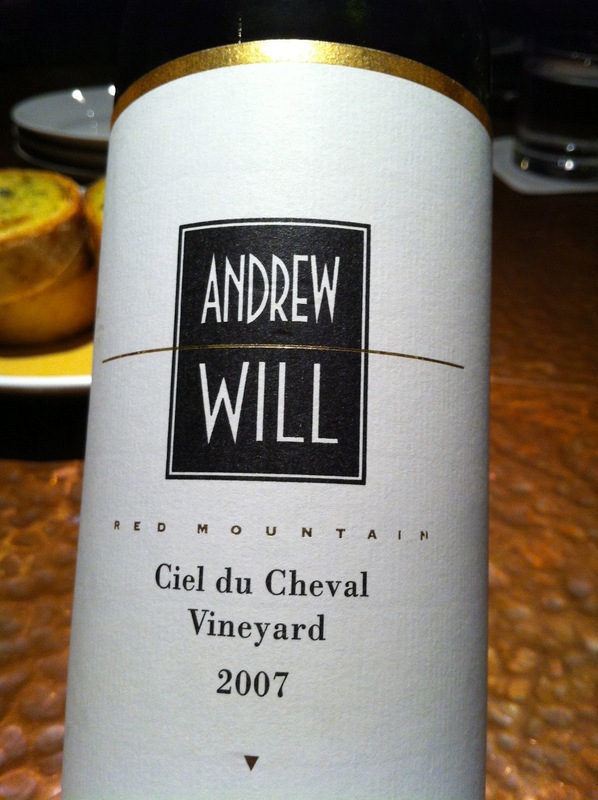 2007 Andrew Will Ciel du Cheval Vineyard - minty, really sweet and syrupy, very ripe on the nose. The alcohol at 14.5% was so sharp that it burned my nostrils. Blend is dominated by Cab Franc for this vintage (45%). At the end of the evening, I asked the same waiter for a bag so I could take the empty wine bottles home, as is my habit. My request was acknowledged, but no bag came my way. When I got tired of waiting, I stood in clear line of sight, but nothing clicked inside that waiter's head. Finally, I lost my patience, and decided to ask another waitress for the bag. I had in within seconds.